Though Christine has written many, many novels this was my first read of hers. So I wasn’t sure what to expect, but cowboy romances are a bit of a weakness of mine…so a trip to Rust Creek seemed in order. So, what did I think? 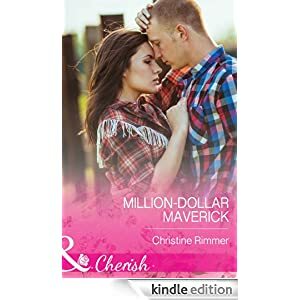 Well, its a sweet contemporary romance, well written, excellently plotted with no gaping holes – that’s so annoying when you get to the end of a book and you’re left wondering “ what happened to/ how did they do that/ where did that go?” Things like that. Thankfully I guess with all those books already written Christine has honed her craft finely and knows how to ensure everything ties up properly 🙂 Callie, a lovely female lead, sweet, new to Rust Creek, looking to settle down here, and then she meets Nate. Wow – cowboy hottie but with big, big secrets. He’s looking to leave town at some point, though he seems to keep putting it off. Then they get together and sparks fly, steam sizzles, sexual tension can be seen by everyone, but he’s hiding a huge secret and what’s going to happen when Callie finds out? Can two people with opposite intentions find a way to be happy together? There are characters from earlier books taking secondary roles featured here. Then there’s Nate’s mum, what an interfering woman she is, best of motives but if I was him I’d be furious, really annoyed at her constant meddling. She treats him like he’s a teenager or something! Well, its a neat romance, no big drama, no emotion that made me tearful, just a sweet HEA gentle love affair. It was good but for me not great, I need a bit more of the high and low points, more depth to the story, more sadness and angst…but for those who want an easy to read, well written romance is perfect, its just that I need more. Stars: three, as a said a good read just not one that moved me.